Mark Laidlaw joined the Scottish Event Campus in 2015 as Director of Operations, having spent the previous 22 years at the Scottish Rugby Union as Director of Management Services. During his time at Murrayfield, Mark lead and adapted the operations teams, including Health, Safety & Security, IT, Human Resources and Procurement, whilst also taking responsibility for the country-wide event portfolio. Whilst at SRU, Mark played a lead role in the delivery of two World Cups, the Rugby World Series 7’s tournament and the Under 20s World Cup and counts the continuous development of the stadium into a world-class facility as one of his greatest achievements. 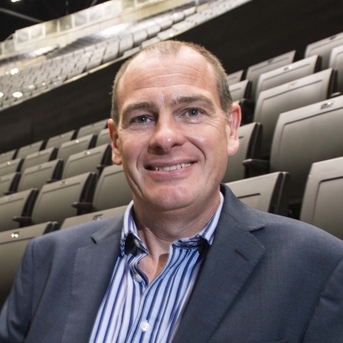 In his three years as a director at the SEC, Mark has again led the challenge of continuing the development of the venue to meet its goal of becoming the best event campus in Europe. He has re-focused the operations team, highlighting the importance of Health, Safety & Security and delivering a safe, operationally efficient environment in an ever-changing world.